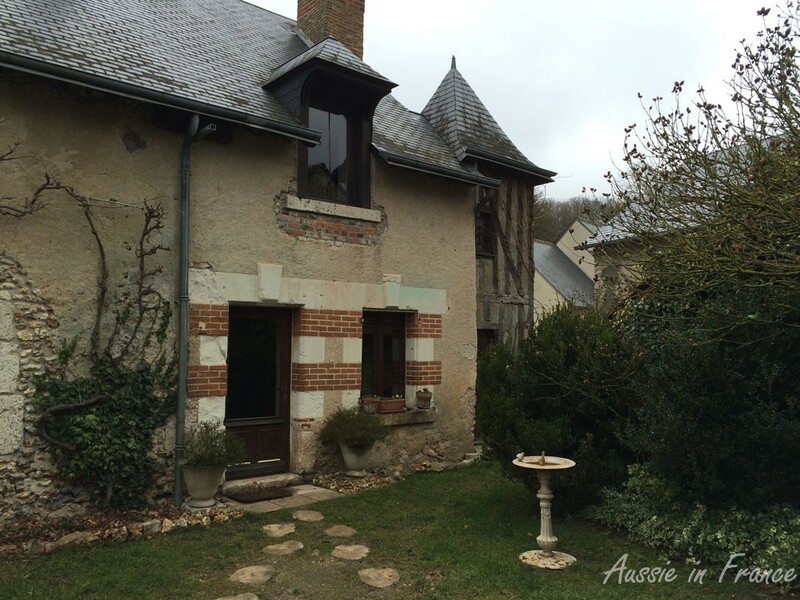 You may remember our poultry yard dilemma that got in the way of our project to renovate our “little house” to make a gîte (self-catering holiday rental accommodation). We thought we might have to drop the idea altogether. The next idea was to convert our second barn instead. Then the neighbours sold their house to a lovely couple who has no intention of pursuing the barnyard theme. 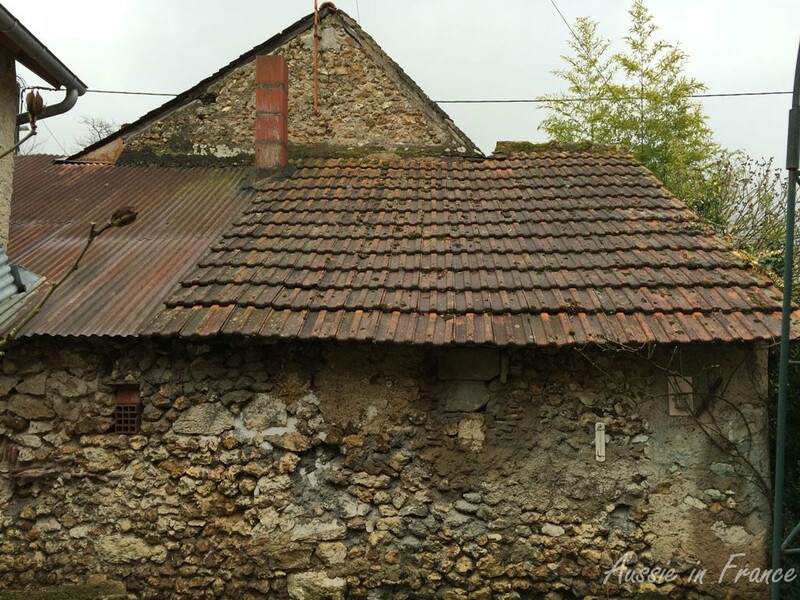 Jean Michel has been pondering the question for some time and has now decided that we should go back to the original idea of refurbishing the little house. He explains it to me but I am one of those people who finds it difficult to change something that I like and I can’t imagine in my mind what he wants to do. I love the side view of the little house which Jean Michel simply cannot undertand. He starts getting annoyed with me and I can see we’re heading for an argument so I say I’ll make a scale model. Whatever you want, he replies. I just need all the dimensions. I have the dimensions. I’ve drawn the floor plans of little house to scale, he says. Well, can I have them? It’s after dinner and he thinks it’s a bit late to be embarking on model-making but he gets them anyway. 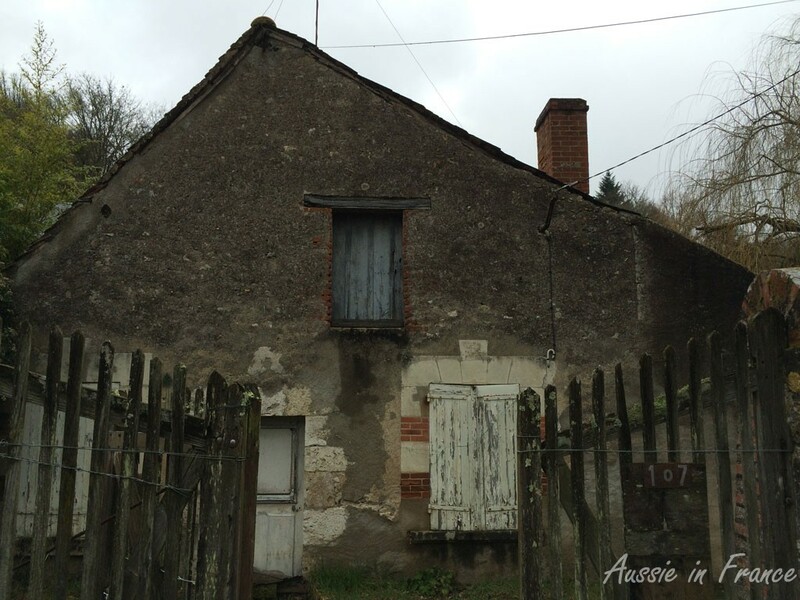 The façade of the little house at the moment, which is rather ugly, you will agree! I go and find some coloured cardboard, sticky tape, scissors, pen and a ruler. He looks on amazed as I proceed to rule lines and cut out pieces of cardboard. Well, I can see this isn’t your first scale model, he says. It is actually the first one that I’ve made myself but I loved making models when I was a child. Dad once bought Buckingham Palace for me and my sister and we spent hours putting it together on Magnetic Island. 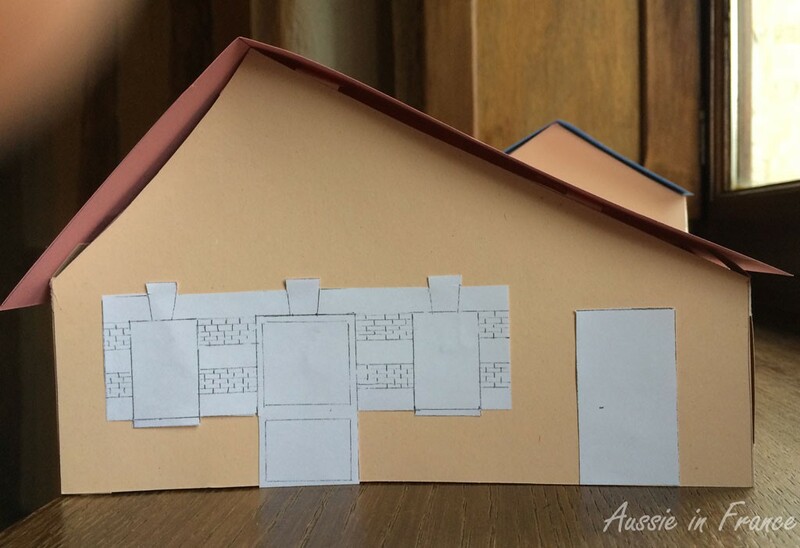 I make the little house, except for the new roof at the back, as this is the part I can’t understand. Jean Michel, who is now itching to get his hands on the cardboard and scissors too, takes over. I am amazed when I see the result. Never in a thousand years could I have imagined it without a physical model to help me. So where does the barn fit in, I ask. We need to make the barn as well. So I go and find some more buff-coloured cardboard. 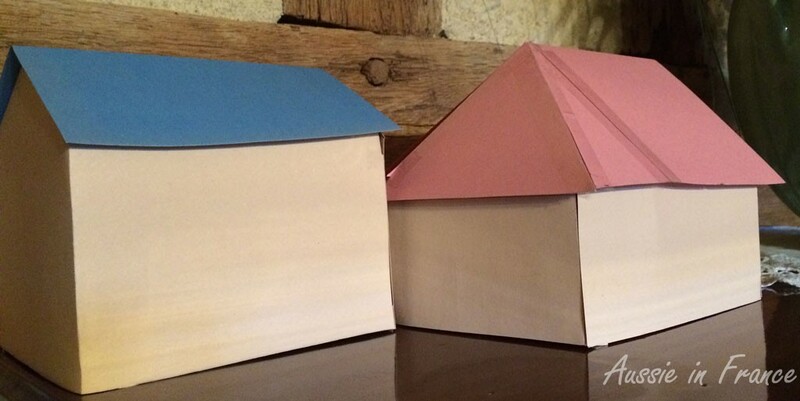 We decide on a blue roof to represent the slate because we used pink for the tiles. We fit the two together and I am at last able to imagine the result. We start discussing the floor plan of the inside of the little house and come up with several interesting ideas. But by then it’s nearly midnight so we go to bed. Next day, I have another look at the existing roof and see that Jean Michel’s idea isn’t so bad after all. We’ll lose a boxwood bush and a small althea but the new roof is actually quite attractive. One of the things we can add is an outside toilet which I’m very happy about. There is nothing worse than working in the garden and having to stop and change your muddy shoes to go to the other end of the house to the toilet, wash your hands or even get a glass of water. Wish us luck and if you have any criteria you think are essential for rental accommodation, please share! 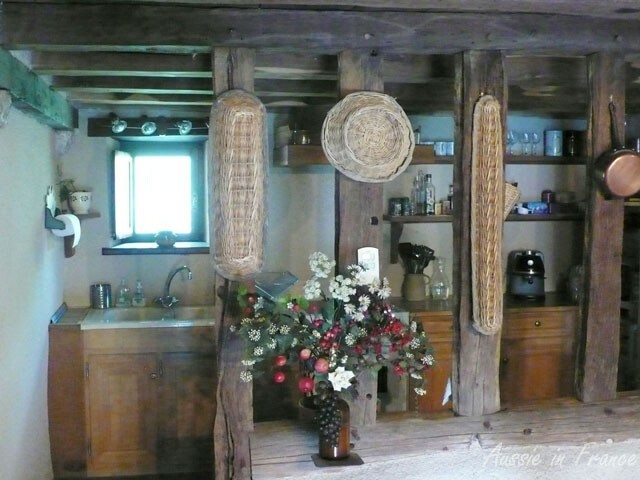 This entry was posted in Closerie Falaiseau, Renovation and tagged gîte, renovation in France. Bookmark the permalink. That’s going to be a lot of work, but it sounds worthwhile! Yes, years of work, but we think it will be worthwhile. This sounds like a great project. My husband actually built a wooden model of our future (new) house, which he designed, before we got it built. It helped me to visualize things too! Wow, a wooden model. It must be very pretty! I’m glad you like it. It’s important that it should look attractive so that people will come and stay! Yes, you’re right about the roof. There is a flat part in front of the barn that you can’t see in the photo. I’ll have to show it to you. I, too, was amused by how keen he was on the model once he saw how to do it! How clever are both of you? I’m also unable to imagine in my mind the end product. Even if I thought to make a replica, there wouldn’t be the cardboard to create it. I’m impressed. 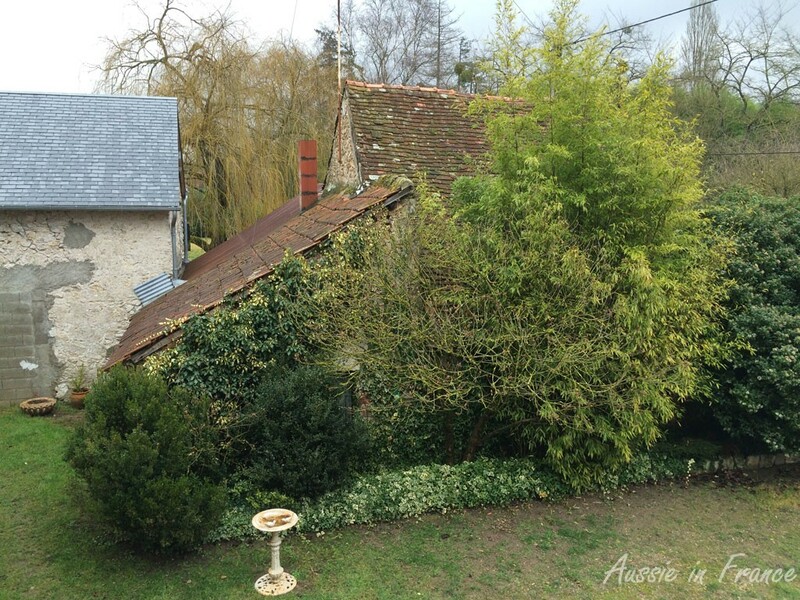 It was lovely to be able to click on the link to ‘Our Little House in Blois’ to add to my visuals of where you live. The renovation will make for interesting reading as each little ‘drama’ unfolds. Thank you! I had the cardboard because my office is at home. I used those different coloured thin coloured folders you use for archiving. 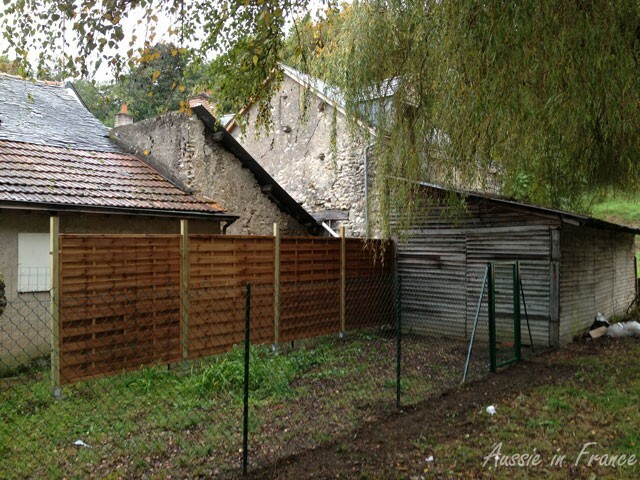 It’s difficult to photograph the front of the little house because the gate (which also needs renovating). Today I bought some water paints to colour the façade!